Cute Easter, spring clipart. 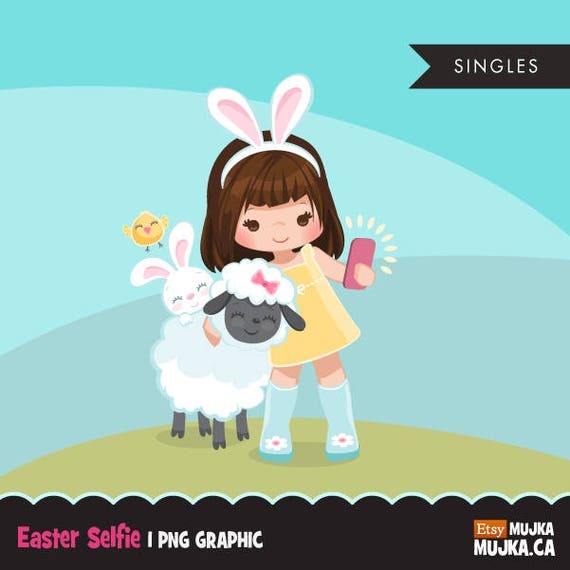 Easter selfie with cute animals, comes as a single with a cute Easter lamb, bunny and chick with cute character. This single is perfect for birthday invitations, planner stickers, party printables, and embroidery. This design is sold in 1 piece. Check out other hair and skin color options sold separately. Contains 1 high quality Clipart.